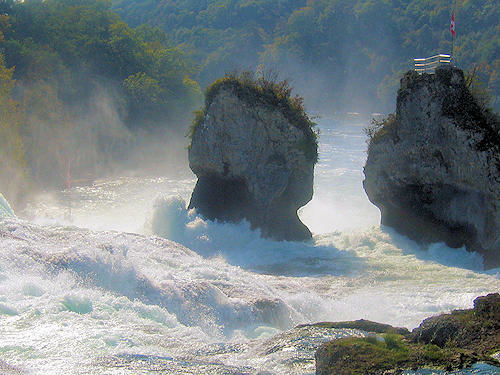 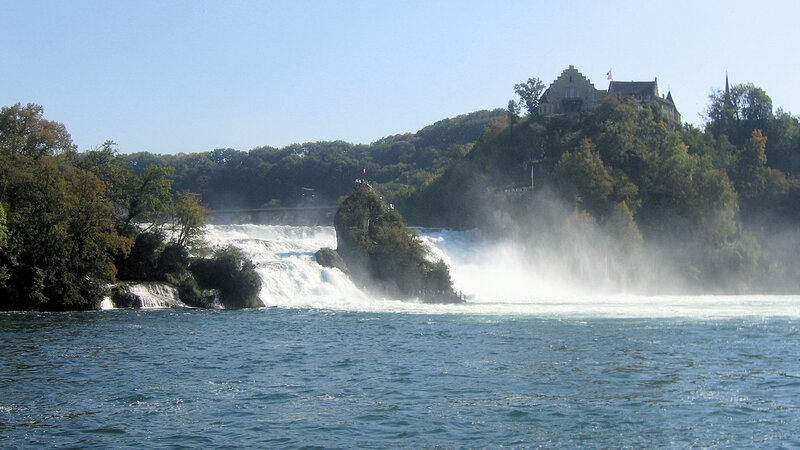 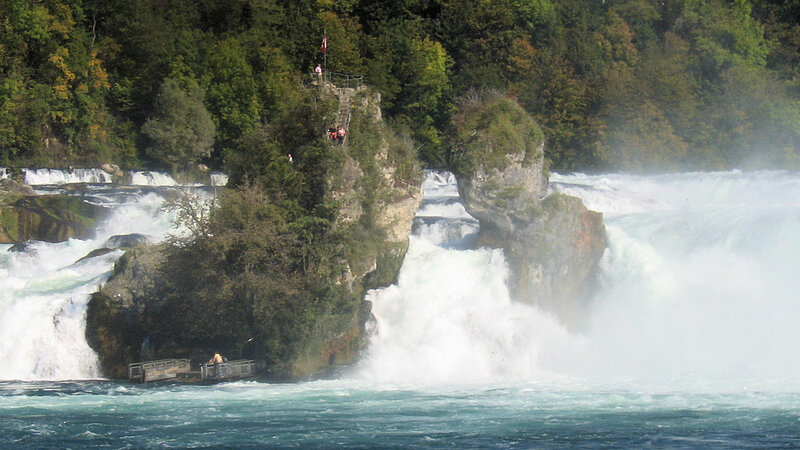 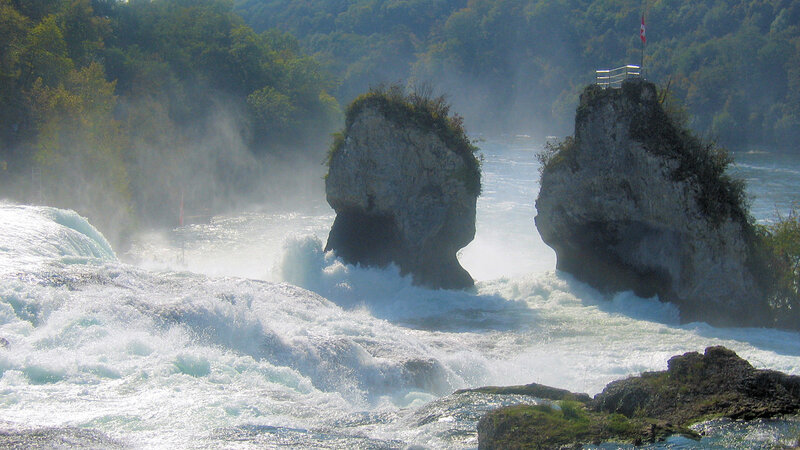 Every year, more than 1 million visitors enjoy the magnificent natural spectacle offered by the Rhine Falls. 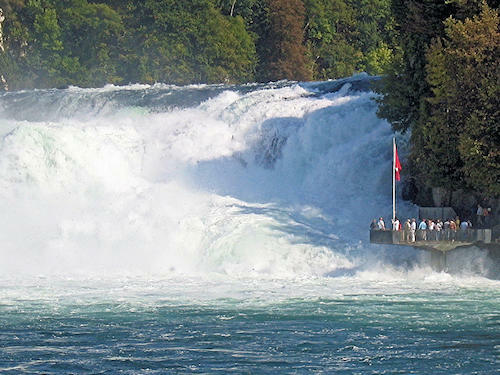 Depending on the time of the year, between 250 and 600 m3 of water per second plummet to the depths. 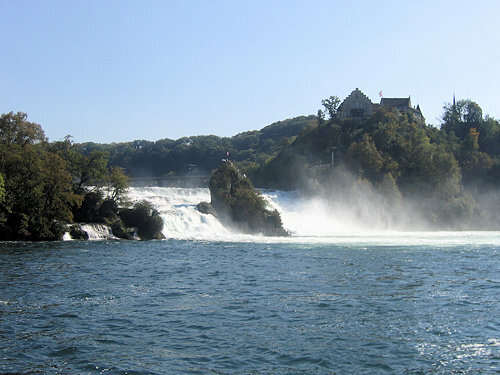 Visitors can walk around the basin, cross the bridge above the Rhine Falls to Castle Laufen on the other side and proceed from there to the 'Känzeli' observation platform, a most spectacular viewpoint built directly beside the water. 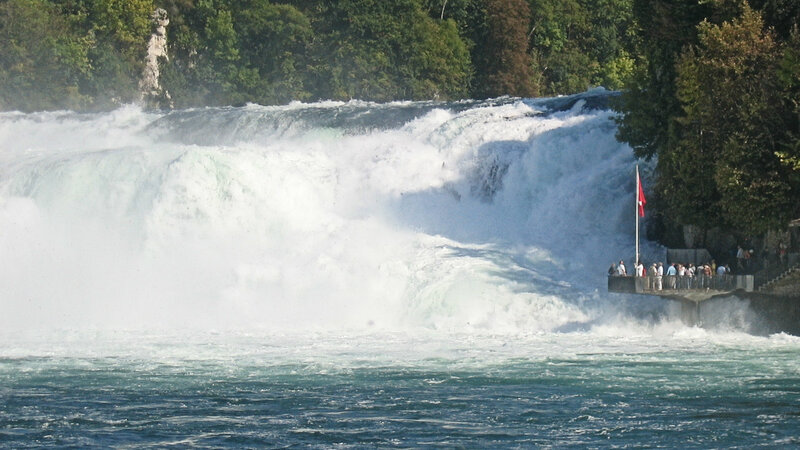 Various boat trips downstream of the Falls with a duration of 10 to 40 minutes are also available. 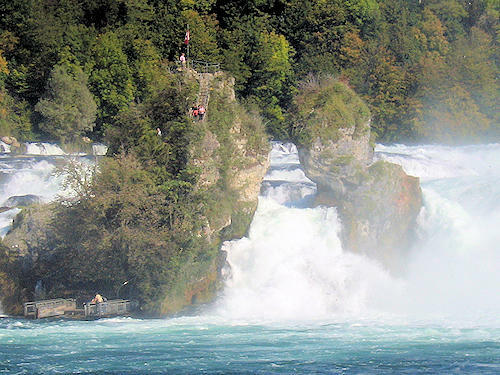 Some of these include disembarkation at the Rheinfallfelsen, a large rock.